A scaled-back search continues for a suspected burglar involved in a shootout that left one Houston police officer critically injured and another in serious condition. A second suspect was killed by police. That suspect was identified as Earl Riley. Crime Stoppers and 100 Club are offering a $20,000 reward for information leading to the suspect's arrest. SWAT and K-9 officers continue to search for a black male suspect wearing dark clothing and a blue bandana. 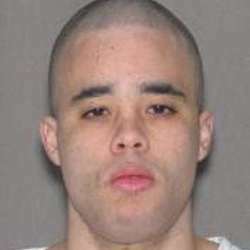 He is considered armed and extremely dangerous, according to Houston Police Chief Art Acevedo.